Todd and Mike talk about the new Echo Devices from Amazon, the Podcast Awards relaunch, Small Batch Audio Kickstarter, and about how Blubrry accounts are organized. Also, we answer the question “How many subscribers do I have?” Thanks for listening and please subscribe. – Alexa Echo Show – Alexa exists in what looks like an “iPad” lookalike, including video and camera. – Login account – What you use to sign into your overall Blubrry account. – Show listing – Your show’s listing in Blubrry. You can add hosting, stats, PPS to each listing. – Hosting or Stats subscriptions – These are hosting or stats for individual shows. When you ask us to “delete” an account, this means your your login will no longer work and ALL of your serivces and listings will be turned off. We regularly received 2 or 3 deletion requests a week, that then wonder why they cannot login anymore. We get this question all the time: “How many subscribers do I have?” The short answer is, there is no way to tell, listen to the show for a better explanation. Podcamp Toronto 2010 Attendees, Win an iPad Contest! If you attended PodCamp Toronto 2010 and did not get a chance to talk with Jeff or Angelo for details how to win an iPad, please contact us before this Wednesday, February 24th for details. We will be drawing a winner Wednesday evening at about 7pm and will announce the winner both on our blog and on our twitter @blubrry stream. We wanted to thank everyone who attended and helped makeÂ PodCamp Toronto 2010 a success! Both Jeff and Angelo had a wonderful time connecting and learning from everyone this weekend. Catch up with Us at Podcamp Toronto 2010! PodCamp TorontoÂ is a great place to catch up with friends in the podcasting community and to meet and learn from other bloggers and podcasters. Can’t wait to see ya there! 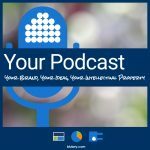 At Blubrry.com, our team members areÂ podcasters and we understand the importance of building your own brand on your own website. Far too many media creators start their shows on services that lock them in, with no ability to grow. Thursday, Feb. 11, I completed my 551st show at Geek News CentralÂ and, while I have been podcasting since 2004, I am always looking at ways to increase my number of listeners and viewers. The show could not have evolved into what it is today without the flexibility to use and adopt new tools. 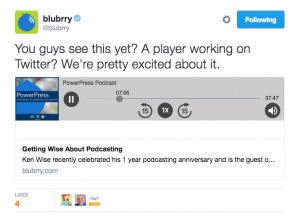 At Blubrry.com, weÂ integrated our free statistics and podcast hosting media uploader into PowerPress, our Podcast Plugin for WordPress, toÂ save you time and allow you to focus on creating media — andÂ build your brand — withoutÂ being locked into a rigid hosting service. Sure,Â the attraction of free hosting is often too great for people to resist, especiallyÂ in this economy. However,Â many of these folks are saving a small amount of money each month and essentially allowing the soul of their show to be locked into someone else’s vision. Not us. Take Geek News CentralÂ for example: During the pastÂ five years I have had three new template designs;Â I added a variety of plugins to support the fast-changing social media scene; and I have been able to add new content channels at will. Many of the features we have added to PowerPress were driven by the podcast community at large and my own desire toÂ grow my show and explore new horizons. You can’t get any easierÂ than that. Keep in mind that in addition to quick and easy publishing, you are controlling your site, your image, your contentÂ . . . and you never have to worry that the company that hosts yourÂ website will go out of business. It all adds up: WordPress + PowerPress + Blubrry Podcast Hosting + Blubrry Podcast Advertising Services + All of our Great Tools = One heck of a winning combination that no other new media company can offer! Take a look at this! Blubrry PowerPress1.0.4 is now available. This latest version is packed with new andÂ useful features and is completely compatible with the latest release of WordPress 2.9. After the announcement that plugin “Podcasting” was coming to a close we reached out to Spiral Web Consulting to see how we could help. They helped us help users ease the transition to PowerPress from plugin Podcasting.Â Through their consultation we now include support for episodes created in Podcasting. If you are a Podcasting plugin user considering switching to PowerPress, check outÂ our note near the bottom of this post for additional details. Blubrry PowerPress now includes a tool found under the PowerPress menu “Tools” page titled “Find and Replace Episode URLs.” This lets you quickly find and replace portions of your episode media URLs. Because the feature verifies each URL and will stop the conversion if the new address URL is invalid, we recommend you back up your database before using this tool. The feature is perfect for users moving their media hosting to a new web siteÂ or service such as Blubrry’s media hosting. WeÂ only maintain support for the latestÂ three major releases of WordPress, ensuringÂ that our plugin remains innovative and up-to-date.Â Because of this, support for WordPress 2.6 will be dropped in the next release of PowerPress. If you are using PowerPress with WordPress 2.6, be sure to upgrade WordPress to support future releases of PowerPress. PowerPress and Podcasting have been for the most part interchangeable. Episodes created by both plugins are stored the same way. The only difference between the two plugins was how the iTunes duration (time in seconds) was stored. PowerPress 1.0.4 now includes this value from plugin Podcasting as well. PowerPress 1.0.4 now includes an import plugin Podcasting settings option found under the Tools page. This option will import the key settings from plugin Podcasting to PowerPress. For Podcasting users who are using the custom formats feature, PowerPress has a similar feature called “Podcast Channels” that will allow you to add multiple media files to one blog post. The feeds for Podcast Channels in PowerPress are formatted differently than those found in plugin Podcasting. When you do make the conversion, you might need to notify your subscribers of the feed changes. If you need assistance re-mapping your old custom format feed to a PowerPress Channel Feed, feel free to contact us so we can assist you. Include the current feed URL and a link to your blog in your contact submission. So there ya have it! Lots of new informationÂ and we know you’ll benefit from all our latest innovations! Blubrry Introduces 4 New Features! 1st: A long requested feature is the ability to add a show promo to the podcasterâ€™s show profile. This will make it easier for listeners to get a quick introduction to a show and allow podcasters in the network to more easily promote each other. This feature will be added to the show profile page of all podcasters in the Blubrry community. 2nd: We have added an audio embed feature to the podcastersâ€™ show pages. We know that our podcastersâ€™ listeners want to share episodes with others and this feature will give our podcast community members added exposure beyond Blubrry and their own websites. 3rd: Podcasters that are part of our Blubrry community can now run a semi-customizable listener survey on their personal sites as well as on Blubrry.com. We preload the survey with a handful of common questions then allow the podcasters to add questions of their own. 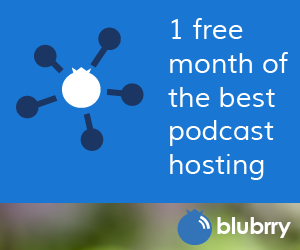 This free feature will help every member of the Blubrry podcast community by providing them with accurate listener demographics. 4th: Podcasters that have Podcast Publishing accounts now have access to their own newsletter service. 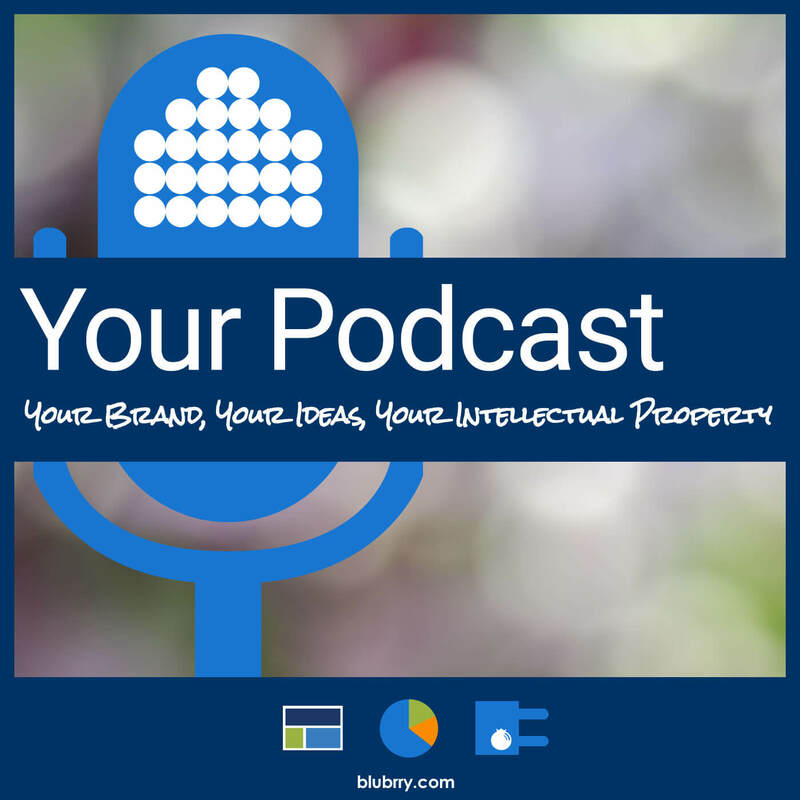 Podcasters can encourage their audience members to sign up for their newsletters on their profile here at Blubrry or on their own blogs at their websites. When you publish a podcast you can opt to send all subscribers a copy of your show notes with links to your downloadable media. This keeps listeners informed of when new shows are available on your site. Studies have shown that podcasts that employ newsletters grow audiences at a much faster rate than those that do not. These new features are a small part of the improvements and innovations we are bringing to our podcast community over the coming year. The Blubrry PowerPress plugin for WordPress version 0.7.1 is now available. The latest version includes a large number of new features as well as bug fixes. The latest version may be downloaded here. Advanced Mode includes additional settings, tools and features. Each Feed includes the same extensive feed settings as the default podcast feed. Duration formatting improved for episodes that go over 1 hour. The new Custom Podcast Feeds feature allows podcasters to create additional podcast feeds for syndicating multiple media formats or versions of their podcast. No other WordPress podcasting plugin provides custom podcast feeds. The advantage of using PowerPress Custom Podcast Feeds is you can decide which media file is associated with which feed at the time you edit your blog post. The Enhanced iTunes Summary option is intended to save Podcasters time. Many podcasters have asked us to provide an additional text field so you can enter a special iTunes Summary for each podcast episode. When we analyzed what podcasters wanted, we discovered that they simply wantd to enter the same blog post content without the HTML markup. Enabling the Enhanced iTunes Summary option will automatically remove the HTML markup in a readable format for iTunes while including web links and links to embedded images. The web links and embedded images are clickable within iTunes and open in the default browser when clicked. The addition of the Simple and Advanced modes for managing PowerPress settings was a direct result of the feedback we received from podcasters wanting an easy to configure podcasting plugin for WordPress. Simple mode is perfect for someone starting out who may not understand all of the options and settings available in Blubrry PowerPress. The Simple Mode displays only the essential settings required to get your podcast started. We are committed to providing a well developed and mature podcasting plugin for WordPress. Please leave a comment below or contact us with your thoughts, comments or feature suggestions so we can continue to improve the plugin.